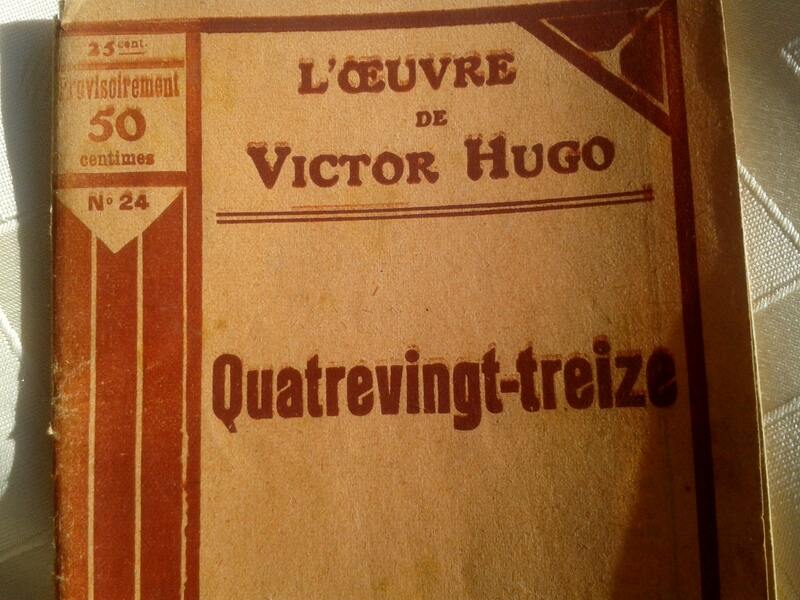 A French novel about the French revolution written in French by Victor Hugo and published by Artheme Fayard in Paris. 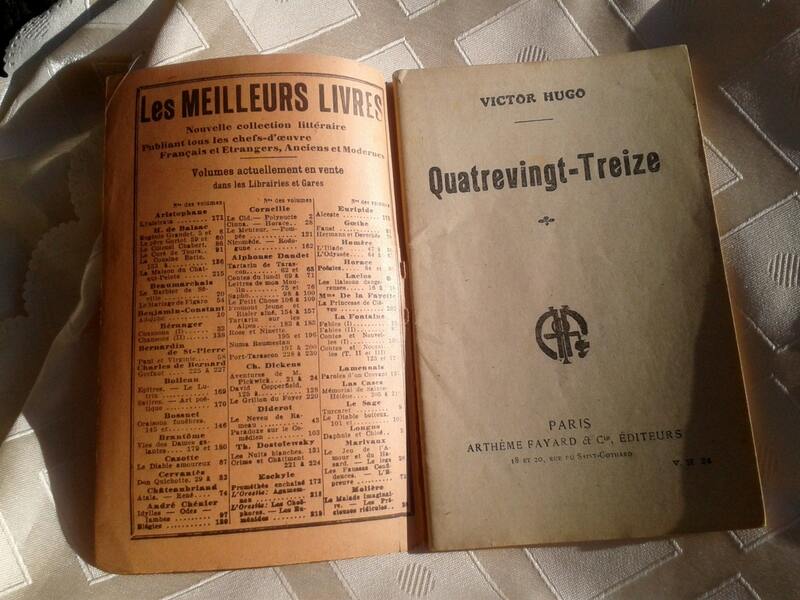 This book is part of a collection called " Les meilleurs livres " = " The best books"published from 1905 to 1958 by Artheme Fayard to start mass market publishing in France. 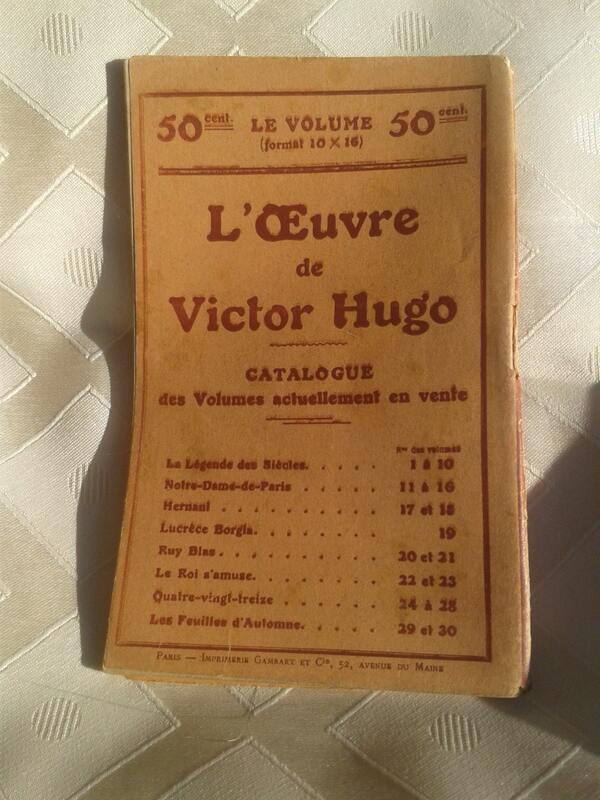 This one must have been published round the 1920's among the first editions. The first price were low like this one , 50cts , then they were raised . Size : 6.2 x 4 in. 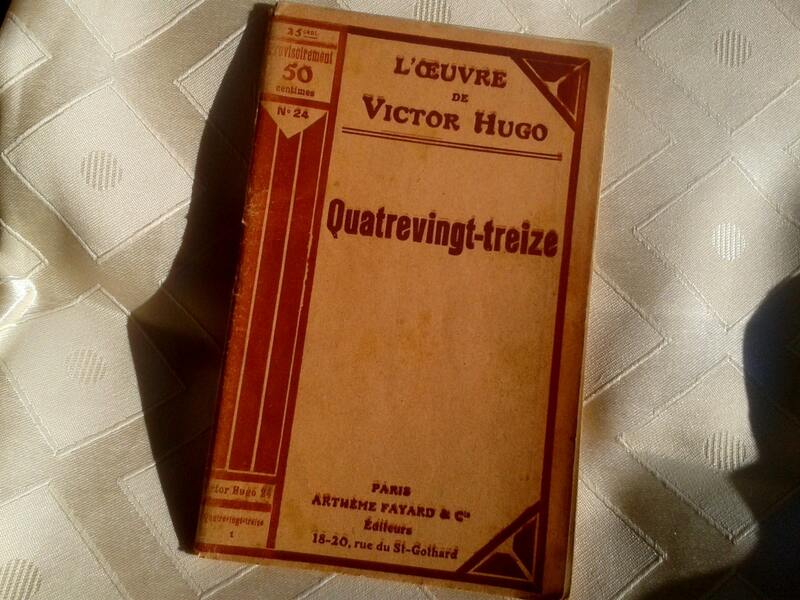 Rather in good vintage condition.